Getting to know the sacred and solemn Tibet by visiting the holiest and sacred monasteries in Lhasa and also appreciate the extraordinary beautiful Namtso Lake. 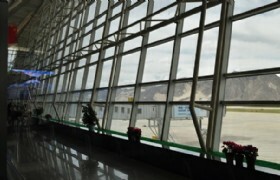 Detailed Itinerary: Our guide will meet you at your arrival place the Tibet Gonggar Airport or Tibet Railway Station and transfer you to the hotel for check in. Try to rest and drink as much water as you can to get yourself acclimatized to the high altitude. After breakfast at the hotel, our guide will meet you at the lobby and transfer you to visit Barkhor Street. 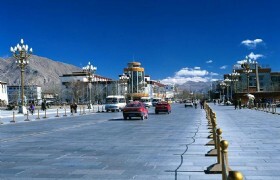 It is the most famous street in Tibet. 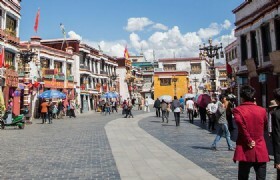 The Barkhor Street was built to circle the sacred Jokhang Temple, making it one of the most sacred places in Tibet. There are pilgrims from everywhere to worship and chant in the street. 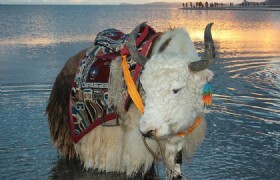 Strolling along this street you will have a quick view of Tibet and Tibetan life. There are houses and buildings of Tibetan styles standing alongside the street. Along Barkhor Street there are more than 300 stores and stalls selling various kinds of commodities and you can buy various kinds of souvenirs and gifts. Next we will move to visit the Jokhang Temple, which is located just on Barkhor Square. Jokhang Temple was constructed in the 7th century and it has a long history of more than 1,300 years. Jokhang Temple is the first Buddhist temple in Tibet and it was first built for the collection of real images of Sakyamuni brought to King Srongtsen Gampo of Tubo Kingdom by his Nepalese wife Princess Bhrikuti and Princess Wen Cheng from Tang Dynasty. The statue brought by Princess Wen Cheng was kept in this temple and it is a treasure from history. The Jokhang Temple is the religious heart for Tibetan Buddhism and there are many devout Buddhism adherents come from other places around Tibet to show their sovereign respect here by using their knees and hands pray on the floor. 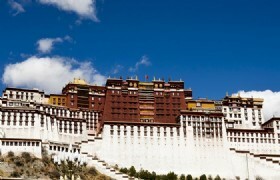 The last destination for today will be Potala Palace, the landmark of Tibet. 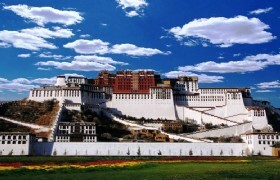 The Potala Palace is located in the northwest of Red Hill in Lhasa, the capital of Tibet. It is a large-scale castle-styled building with 13 floors and 110 meters tall, 3750 meters above sea horizon. 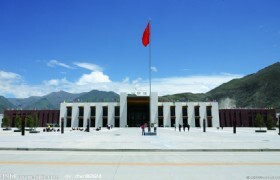 The whole building occupied over 100,000 square meters and the steps of the palace are leaned to Red Hill from foot to peak. This antique castle is not only famous of its remarkable construction, but also for its valuable cultural relics. 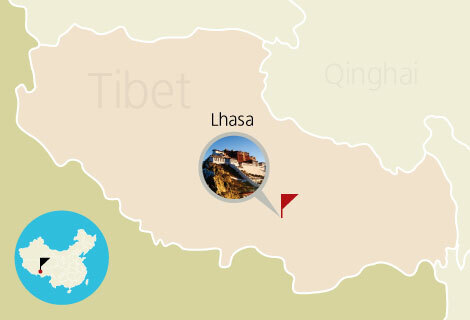 Today your exploration of Lhasa will begin with Drepung Monastery. 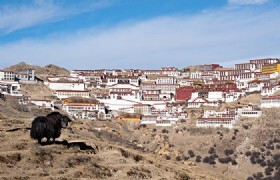 The Drepung Monastery is one of the “Great Three” Gelugpa university monasteries of Tibet. 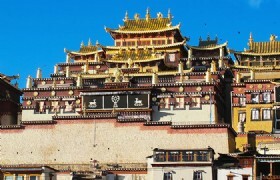 Located at the foot of Mount Gephel, the monastery is only 5 kilometers from western suburb of Lhasa. With an occupation of 250,000 square meters and a house of 7,700 monks, Drepung Monastery is the largest monastery in the world. 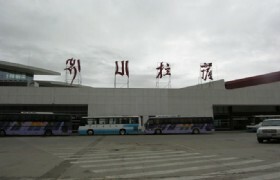 Next we will proceed to see the Ganden Monastery. The Ganden Monastery is another one of the “Great Three” Gelugpa university monasteries of Tibet. It is built in 1409 by the founder of Gelugpa Tsongkhapa. 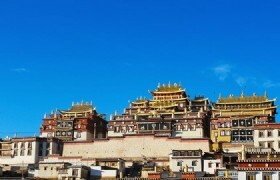 The complex of Ganden Monastery is consisted of 50 buildings. Those exquisite frescos and carvings, and precious cultural relics make Ganden Monastery a very important monastery in Tibet. 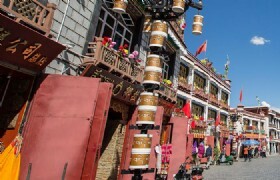 Ganden Monastery is especially popular when Shonton Festival. Sera Monastery will be arranged as the last destination to see today. 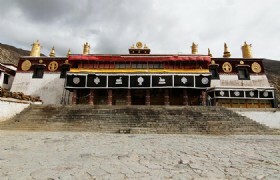 The Sera Monastery is one of the “Great Three” Gelugpa university monasteries of Tibet. 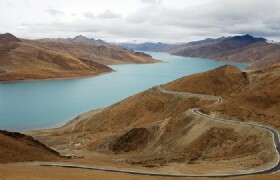 It is located at the foot of Taipu Hill at the northern suburb of Lhasa. Besides the magnificent construction, Sera Monastery has collected a large number of cultural relics like Buddha statues, Thangka, sutras, and many other religious tools. Sera Monastery is especially famous for its unique debate Buddhist doctrines. You will have chance to witness the debate. At last, our guide will bring you back to the hotel. 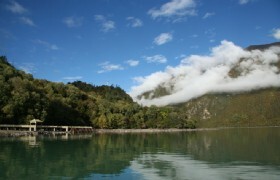 Today we will go for the sightseeing of the enchanting Namsto Lake. 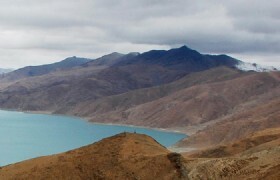 Located in central Tibet, Namtso Lake at an elevation of over 4,718 meters above sea level is the second largest saltwater lake in China. 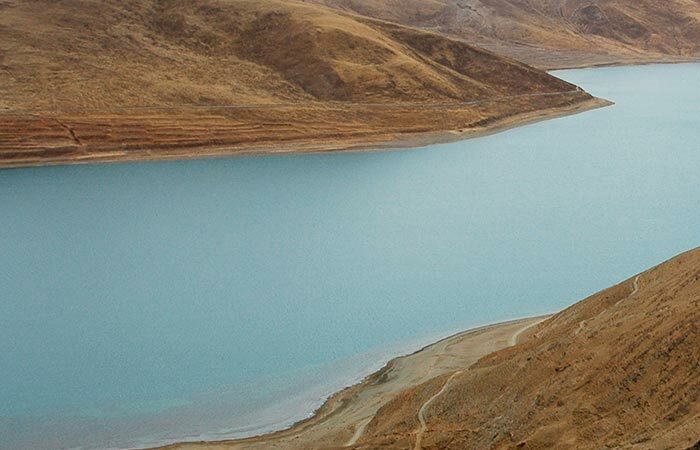 It's an irregularly shaped lake surrounded by mountains, measuring over 30 kilometers from north to south and over 70 kilometers from east to west. The lake is hemmed in on all sides by broad prairies that could stretch out as far as the eye can see. The lake with the finest meadows is generally rich in natural fishpond and offers moisture and water for the highland pasture around it and a habitat for rare water birds like swans, egrets and sand birds. 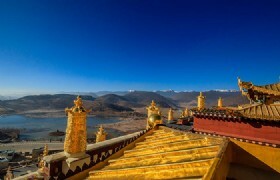 Pure, solemn and stunning as Namtso is, it is also a sacred place for Buddhists. On the way back to Lhasa, we can drop by at Yampanchen Hotspring as optional activity if you would like to have fun there at your own expense. At last our guide will take you back to the hotel. 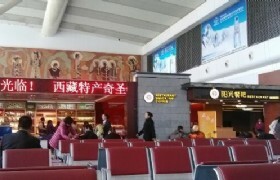 Detailed Itinerary: After breakfast, our guide will transfer you to the airport for your departure flight. Have a nice trip. extra costs if your flight isn’t within our free service time. Extra Expenses Additional days caused by unexpected nature disasters. eg.Land Slide, Avalanche, etc. 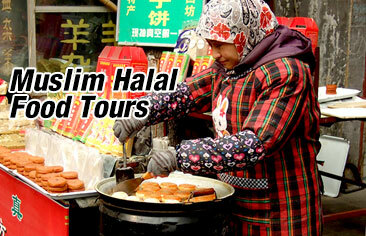 This is a Join-in Group tour, you will sharing transfer service, tour guide service and accomandation with other travelers. Hotel name to be advised. * The group size is from 2 adults up. * The price is based on twin share. If no one can share a room with you, extra cost for single supplement is needed.